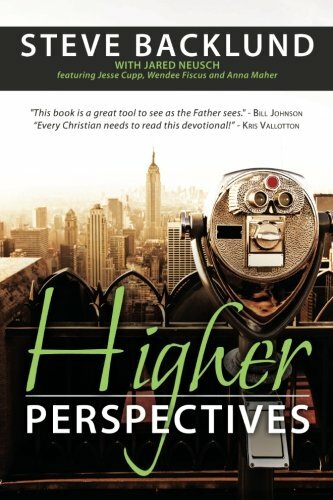 God sees things from a higher perspective. In the Bible, we see many individuals that walked in a revelation of His point of view. Numbers 13 illustrates this when it tells the story of the twelve man sent to spy out the Promised Land. Ten came back with a "realistic" perspective of defeat and victimhood, while Joshua and Caleb came back seeing from God's higher perspective and proclaimed, "Let us go up at once. We are well able to overome it!" Isn't it fascinating that two groups of people saw the same set of circumstances but had different conclusions based on their perspectives? This is a book that studies the incredible, life-altering beliefs of some of our favorite Bible characters. Their supernatural perspective is an invitation for us to see and experience life as they did.